Teenagers are usually faced with the hard decision of picking a university. It’s the first decision of many that will shape the rest of their lives. I remember when I was trying to decide where I would go to college and why I chose my alma mater, Clark Atlanta University. I think it was a cosmic decision and one of the best decisions I ever made in my life! 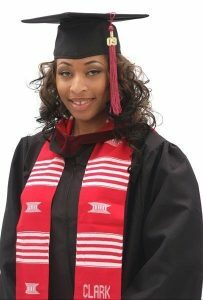 I am a first generation HBCU college graduate and I am so happy I became a Panther! Here is how it happened. I am a 90s child and was very fortunate to see a tv sitcom that depicted an HBCU experience. The show was A Different World, a fictional sitcom that centered around young, black college kids and their stories attending Hillman College. For years I actually thought it was a real college that I just knew I was going to attend when I graduated high school. Too bad Hillman College wasn’t real! It was a fictitious HBCU that people say got its name from Spelman college. Since Hillman wasn’t an option for me, to be honest I was stuck for a year on where I would actually go. I had a few ideas. One school kept popping up in my life over and over and that was Clark Atlanta University! I had lived in Atlanta the majority of my life, but I always assumed I would go to a college in California because I wanted to get my mass media degree in Hollywood. Ironically, Hollywood was already in Atlanta and I will explain how that impacted my college choice later. During that time, I saw Spike Lee’s 1989 “School Daze” and I was blown away. I had never seen a Black film that centered around the HBCU college experience. Spike Lee filmed and directed it based a lot on his own personal college experience from Clark Atlanta University campus. It opened my eyes to Greek Life, Homecoming, and even some interesting controversial statements that affect African Americans on a subconscious level. It was even a musical, so the entire production of School Daze was innovative and out of the box. I loved how Spike Lee showed my future campus in a beautifully time capsuled kind of way from the late 80s. Unlike A Different World where it was on a fictional campus, I got to see an authentic college university screened in its true form in the city I actually lived in. Although that movie debuted 15 years prior to my college making decision years, it made an impact on my psyche that stayed with me even today. School Daze was my first light bulb, but not the final light bulb that helped make my decision to go to Clark Atlanta University. I was graduating high school in the early 2000s, and I will be honest, no one in my family had any direct knowledge of attending an HBCU. I was curious, but at that moment, A Different World, School Daze, and a plethora of 90s tv shows and movies promoted HBCU through t-shirts and sweatshirts on their tv stars to give me the motivation to attend but I still wasn’t convinced yet. Remember when I said Hollywood was coming to Atlanta? Well one of the biggest movies of 2003 was about to debut and I was cast as an extra in the movie! That movie was Drumline and it starred Nick Cannon (All That, Wild’n Out) which showed the black college experience from a band perspective. So how did I become an extra in Drumline? It’s a funny story. They needed to fill all of the seats for the former Georgia Dome (now Mercedes Benz Stadium), to showcase one of the most prominent moments in the film which was “The Battle of The Bands” face-off scene. That was an amazing day. Even though you don’t see me at all in the crowd, I was still in the movie and of course, I had to run to see it when it debuted in theaters. I had no idea it was another HBCU experience type movie or that it was about a movie filmed on, you guessed it, Clark Atlanta University campus! Drumline turned out to be another movie about the HBCU experience, and sadly enough, the only other movie that followed School Days that highlighted a black college experience. It took 15 years for a film to follow behind Spike Lee, but it was perfect timing for me! Drumline came out my junior year in high school and I remember feeling really excited and motivated to go to college after watching it. I now had two college movies, both that took place on Clark Atlanta University’s campus, and to me it was a sign to consider the school. Funny enough, later during my matriculation at CAU, another movie was made on my campus, Stomp the Yard. Another cosmic alignment that Clark Atlanta University was meant for me and one of the best HBCUs to attend and clearly to film a movie around. Now I know what many of you all are thinking. So tv shows and movies influenced my college making decisions? The answer is mostly yes! Representation matters more than anyone thinks. I am grateful Spike Lee, who recently just won his first Oscar, decided to break into the industry to capture a true HBCU experience and do his own version of Animal House. Spike Lee attended Morehouse college, but it was Clark Atlanta University’s mass media department where he got all of his film school undergraduate accreditation to become the legendary director he is today. I am also grateful to all of the TV shows who wore HBCU paraphernalia, which was a big fashion staple in the 90s and also influenced me constantly as a child to go to an HBCU. Not everyone’s family went to college, let alone even an HBCU. My exposure came from media, the same industry I got my degree in and I am personally thriving in today. Even though the media influences drew me in, ultimately it was Clark Atlanta’s mass media curriculum programs is why I chose CAU. The programs are some of the best in the Southeast! On this beautiful campus is where CAU alumni were birthed, all who include rising writer and director Kenya Barris (Blackish,Grownish) and many other rising stars and talent. So when people ask me why I chose my HBCU, it’s because of the wonderful media influences and exposure made by celebrities. Without this, I possibly would not have went to Clark Atlanta University, let alone any historically black college. 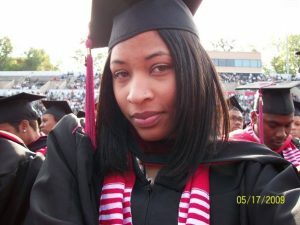 I am proud I made the right decision to attend Clark Atlanta University. This year I celebrate 10 years of being a college graduate of CAU, and I also share this anniversary with Home Depot’s Retool Your School Campus Improvement Program. Since 2009, The Home Depot’s Retool Your School Campus Improvement Grant Program has invested more than $2 million dollars to update, upgrade, and uplift HBCU campuses. Ten years later, the Program is deepening its commitment to HBCUs by awarding the highest amount in the Program’s history, $500,000 total in campus improvement grants to 10 winning schools – celebrating the past and future success of the Retool Your School Program and our country’s HBCUs. If you attend, support, or are an HBCU alumni, I highly recommend you visit RetoolYourSchool.com and vote for your favorite college or university so they can win an amazing grant to improve their campus! What made you want to attend your HBCU?